DiverCity Tokyo is a urban development project on Odaiba island, that will boast some offices, conference rooms and seasonal exhibitions, right behind the Fuji TV building. But what makes this construction site so exciting for many is actually located outside of the walls of the new buildings. 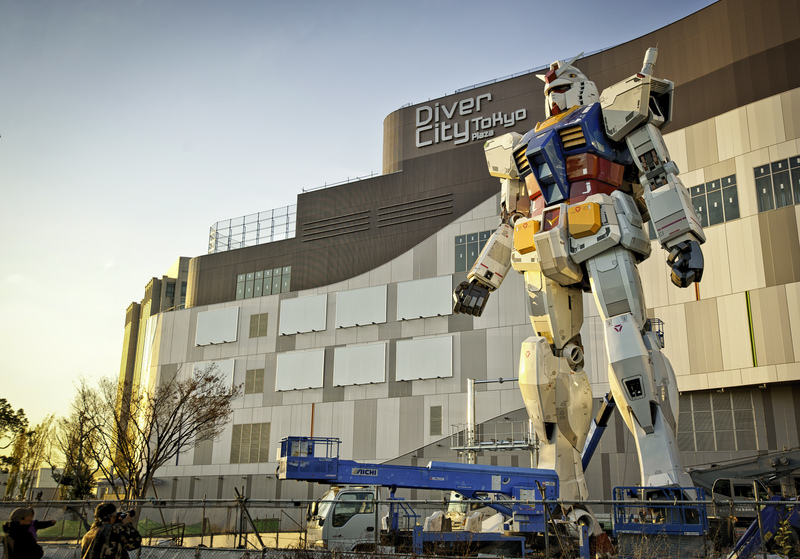 The famous 1:1 Gundam statue is indeed expected to be guarding the entrance of the new complex. This life size replica was first introduced to the public in the summer 2009, to celebrate the 30th anniversary of the serie. 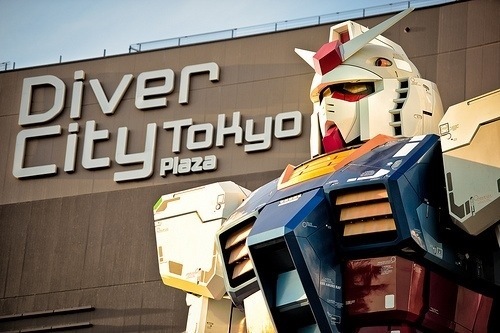 The statue was then disassembled in September 2009 and travelled through Japan, before reappearing in Shizuoka with a beam saber in July 2010. Once again, the parts were split up, and fans have long been waiting for the colossal robot to be re-built. Their patience will be soon rewarded, as The DiverCity Tokyo complex is scheduled to open in Spring. 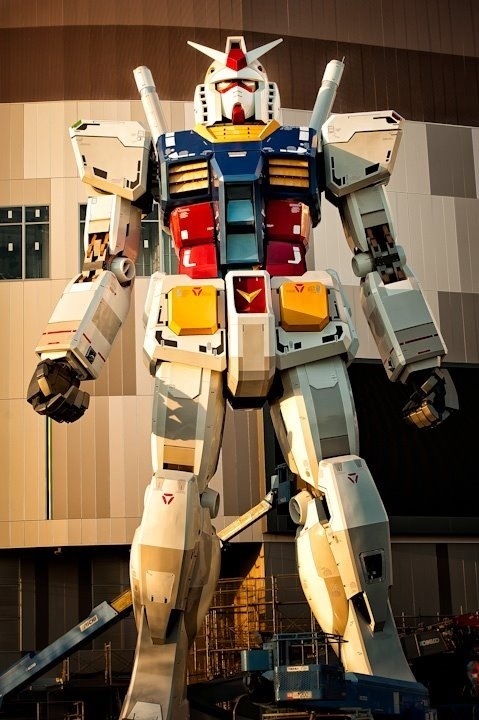 As you can see on the picture, the Gundam statue is already almost complete.